The fact is, if you’re one of those pre-meds who has a low GPA because you experienced a difficult life situation such as sickness or a disadvantaged background, or because you have a learning disability, or maybe it’s just because you lacked focus freshman year, you no longer have a margin of error if you want to get into to medical school. In my new eBook, How To Get Into Medical School With A Low GPA, I take you through the process I’ve been using to help my clients get accepted year after year. It’s a strategy I’ve honed first as a Harvard pre-medical tutor and now as CEO of MDadmit, a medical school admissions consulting company. If you want to get into medical school, but you feel your grades may be an obstacle, How To Get Into Medical With A Low GPA will provide you with knowledge and tools to help you understand the admissions process and allow you to influence the outcome in your favor. While getting into medical school with a low GPA is certainly possible, it does not happen by chance. It only happens when admissions committees see something in the applicant that causes them to discount the significance of their academic performance. For this applicant, the GPA is not viewed as a disqualifying factor, but rather, an aberration in an otherwise obviously capable applicant’s profile. Cultivating this perspective is exactly what I address in How To Get Into Medical School With A Low GPA. 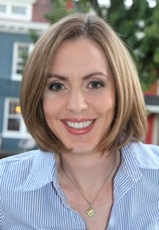 How To Get Into Medical School With A Low GPA is an indispensable resource for any pre-med who may have under-performed in college because it sheds light on the true meaning of academic performance in the medical school admissions process and lays out the actual, real-life strategies I’ve used to help my “low GPA” clients get into medical school time and again. 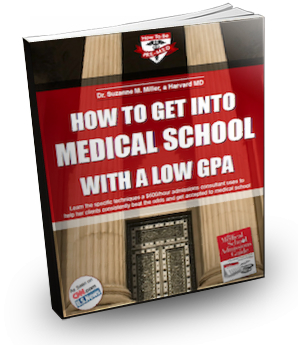 Purchase and Download How To Get Into Medical School With A Low GPA below. Please feel free to read the How To Get Into Medical School With A Low GPA press release. Caribbean Medical Schools eBook coming soon!